“Career pathways” is the latest buzzword across many industries where job skills – including hands-on trades skills – are valued often more than pure academics. It’s a concept that ALCC has embraced to address the fact that employers in the green industry are finding it difficult to attract workers with relevant skills. The Landscape Career Pathways Program teaches and trains high school students so they can be job-ready upon graduation. 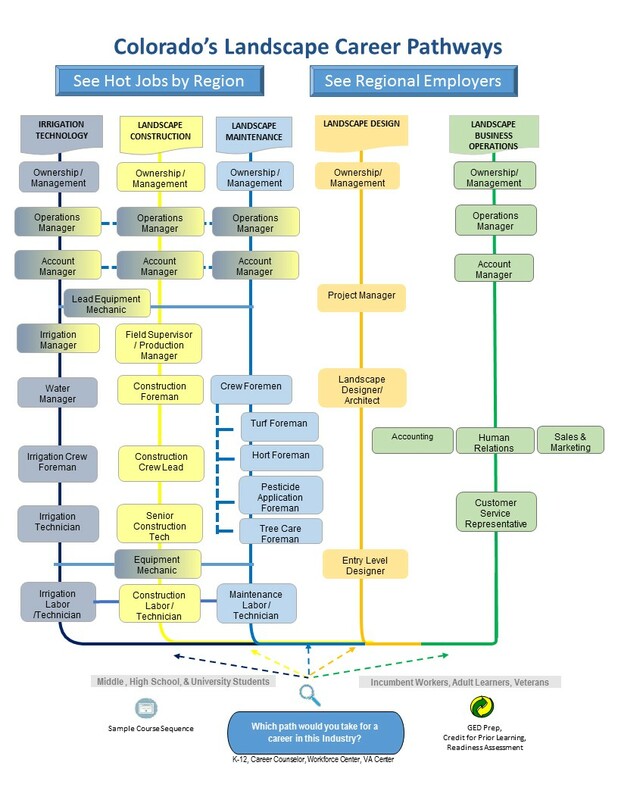 During the winter of 2014-2015, ALCC volunteers in three task forces met with representatives of the Colorado Community College System (CCCS) to identify entry-level jobs and skills, the content and experience high school students should have to prepare them for jobs and the work-based experiences that would enhance classroom training. 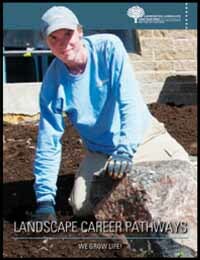 Currently, Landscape Career Pathway Programs leading students into the landscape industry are in place in several Front Range High Schools from Greeley West High School and rural Platte Valley in Kersey to Denver area's Westminster High School and Green Mountain High School, Lakewood and in the Colorado Springs area at Falcon High School. Other schools are in the process of getting involved with Pathways. The urban school program began at Green Mountain High School in Lakewood, while the rural program is in place at Platte Valley High School in Kersey. in 2016 landscape pros taught teachers Irrigation 101 using an Irrigation in a Box system developed by ALCC member companies. In 2017 teachers learned basics of irrigation design and hands-on skills involved in installing landscapes--how to shoot grades, lay pavers, plant trees and install turf according to industry Best Management Practices (BMPs). As the program grows, there is a need for volunteers to act as ambassadors for the industry by speaking to students, to share testimonials about their path to the landscape industry, and to provide work-related experience through job shadowing and internships. For information on the program, or to get involved as a volunteer, contact Becky Garber at 720-307-5093. Special thanks to program sponsors, ACW Supply, DBC Irrigation Supply and The L.L. Johnson Distributing Company.